New York City Youth Homelessness Project team: From left to right, top: Erin Carreon, Melissa Kull, and Alison Chrisler. From left to right, bottom: Raúl Chávez, Jha’asryel-Akquil Bishop, and Matthew Morton. On a given night in New York City, more than 4,500 unaccompanied and parenting youth have been counted as sleeping on the streets or in shelters. This represents thousands of young people every day who face traumatic stress and lack the stability and support they need to thrive. To address this challenge, New York is moving toward a coordinated, system-level response to ending youth homelessness. 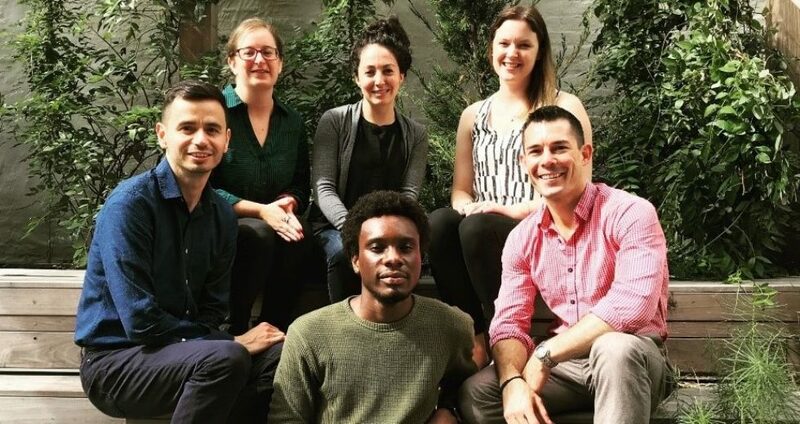 In June 2018, the city launched a Youth Homelessness Taskforce, of which Chapin Hall’s Dr. Matthew Morton is a member. In September 2018, the Mayor’s Office for Economic Opportunity awarded Chapin Hall a contract to conduct the city’s first youth homelessness system assessment. The assessment will update and enhance the city’s current Youth Systems Map and produce a brief public report. Further, the project will develop a framework for future needs analysis and research. The team will employ a mixed-methods approach. This includes online surveys of community-based organizations and city agencies; focus groups and interviews with a range of stakeholders, including service providers, government officials, funders, and other local experts; a review of administrative data; and focus groups with diverse youth with lived experience of homelessness. The team brings a collaborative approach to the assessment, working closely with city agencies and partners as well as the city’s Youth Action Board, a group of young leaders with lived experience of homelessness. Chapin Hall intends for this project to both catalyze the city’s efforts to address this challenge and serve as an example for how other municipalities could conduct system assessments to inform coordinated efforts to ending youth homelessness. To learn more, contact principal investigators Dr. Matthew Morton and Dr. Melissa Kull.